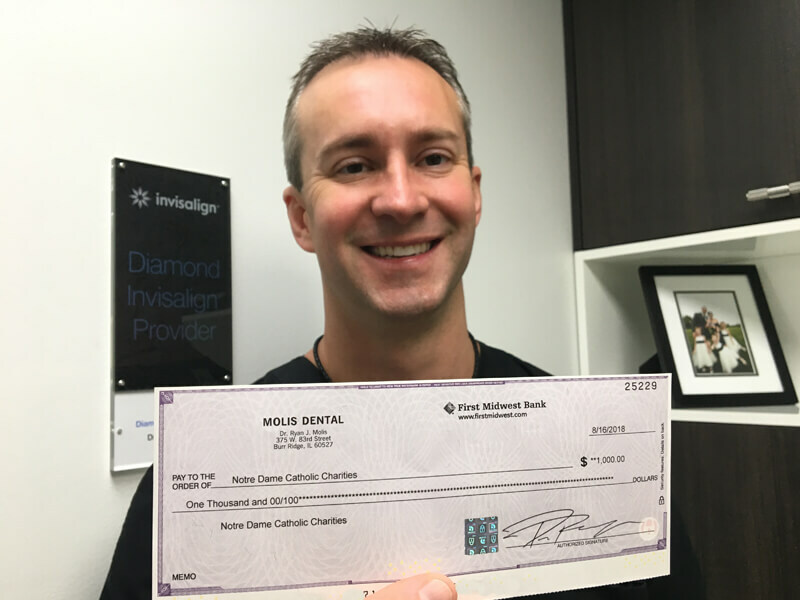 At Molis Dental we realize that is important to give back to our community and share our many blessings with those in need. 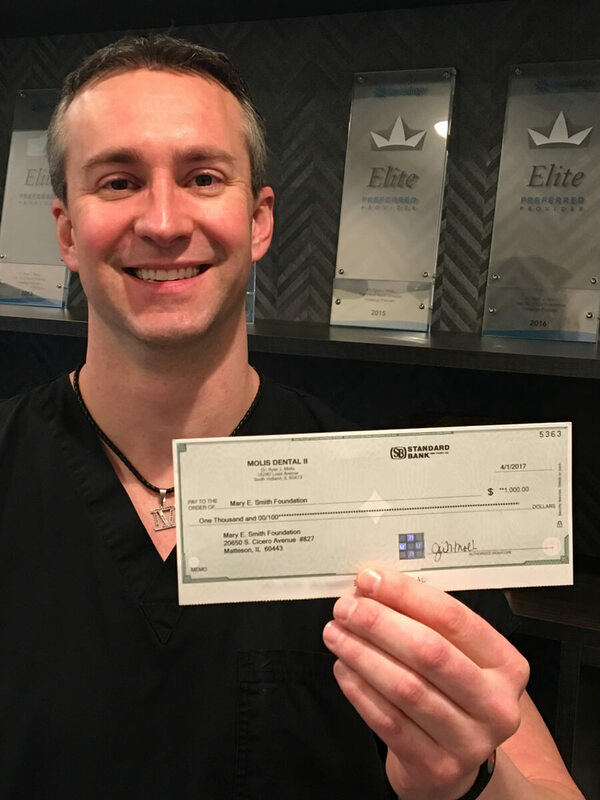 The team at Molis Dental are committed to our Veterans and this Holiday Season is no exception. 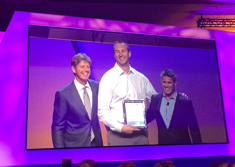 Dr. Ryan Molis continues to help those who have made America the land of free by donating his time and providing contributions to Veterans. 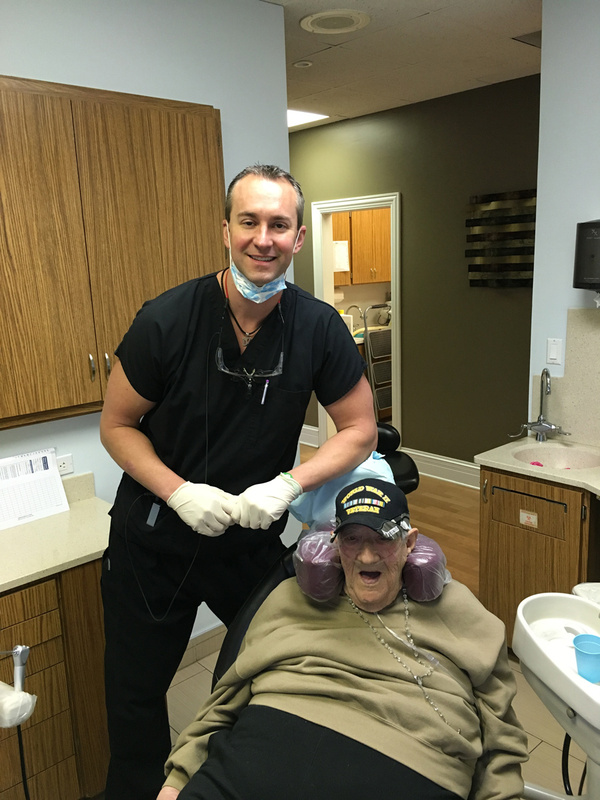 Dr. Molis giving a full mouth restoration to his second World War II veteran for no charge. 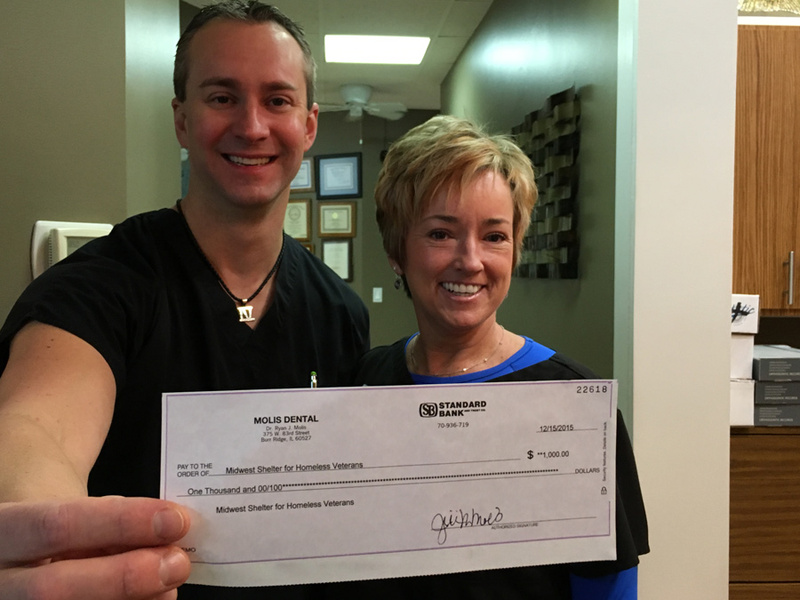 Dr. Molis and Renee Murdoch on behalf of Molis Dental presenting a check to Midwest Shelter for Homeless Veterans! 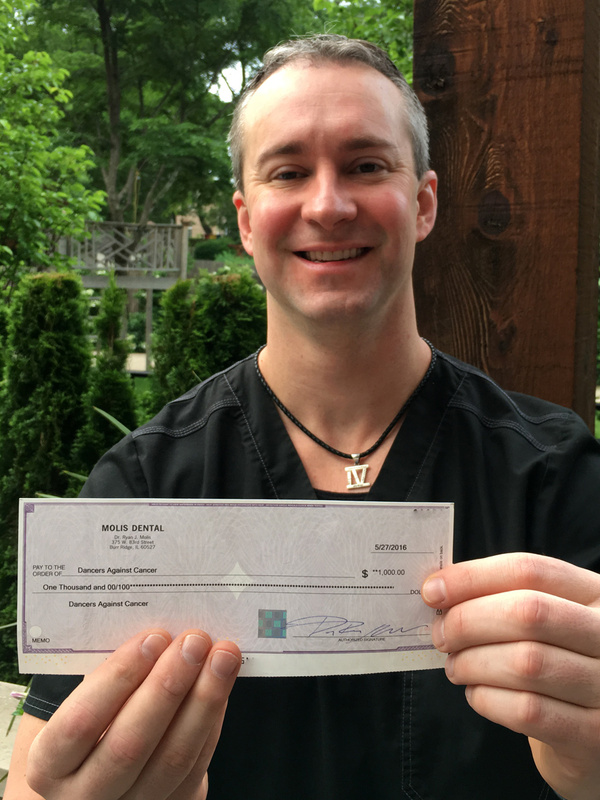 Dr. Molis presenting a check to Midwest Shelter for Homeless Veterans!